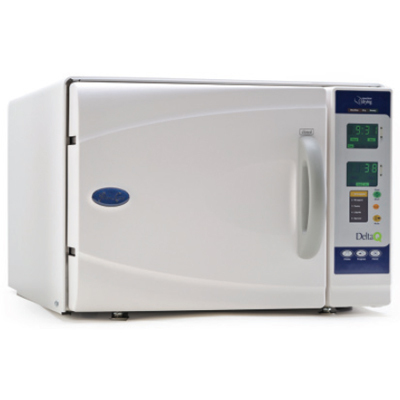 Designed to ensure infection control and meet mandated sterilization and sanitation requirements, sterilization products include autoclaves/sterilizers and ultrasonic cleaners, autoclave tape, and sterilization packaging. 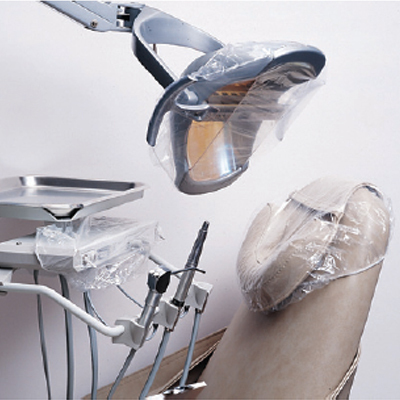 Sterilization consists of cleaning, rinsing, drying, and wrapping. 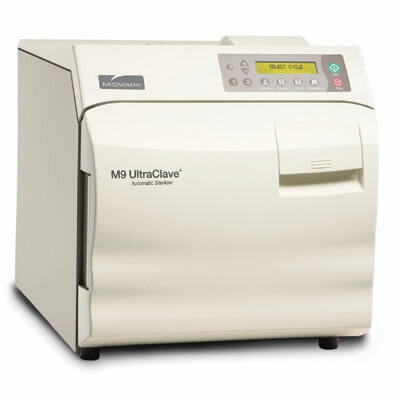 The most commonly used dental sterilizers (autoclaves) use steam (up to 270° F) in 6- to 30-minute cycles. 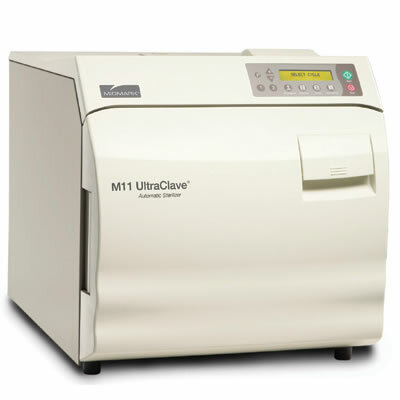 Chemical and dry heat sterilizers eliminate moisture from the process, and ultrasonic cleaners employ cavitation action to create a cleaning turbulence that disrupts/removes debris. 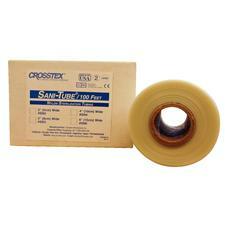 Autoclave tapes/sterilization indicators are used with autoclave, dry heat and chemical sterilizers to seal autoclave bags, tubing, pouches, and CSR wraps, and indicate when sterile conditions have been achieved. 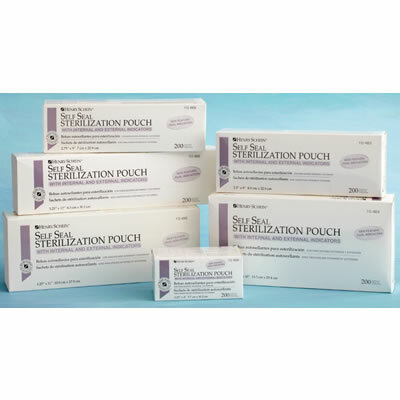 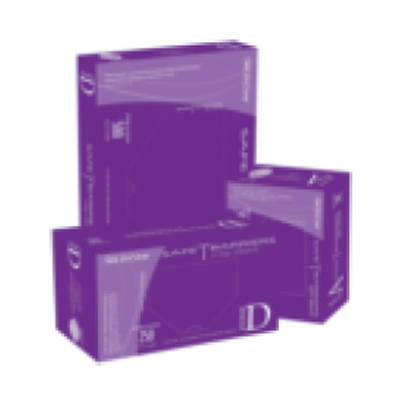 Sterilization packaging—an FDA-regulated medical device—maintains instrument sterility during storage and transport to chairside, and is used with chemical and biological monitors. 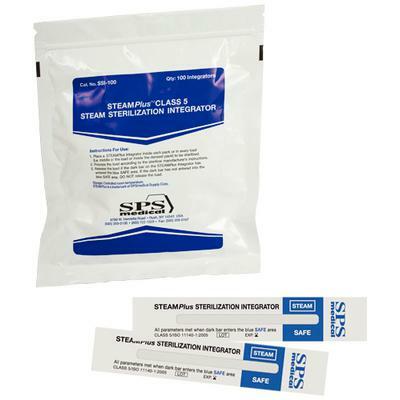 Designed with built-in internal and external indicators that ensure sterilization temperatures in the autoclave chamber and instrument compartment, sterilization pouches eliminate the need for internal indicator strips. 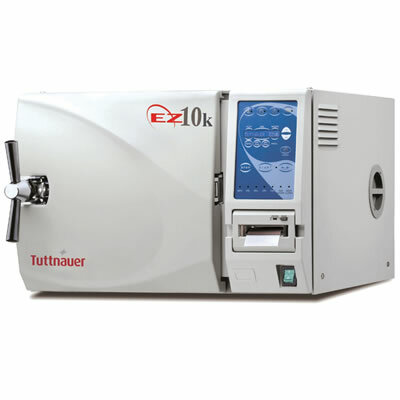 Instrument cassettes, made of stainless steel, aluminum or resin, withstand steam, chemical and dry heat sterilization, and ultrasonic cleaning. 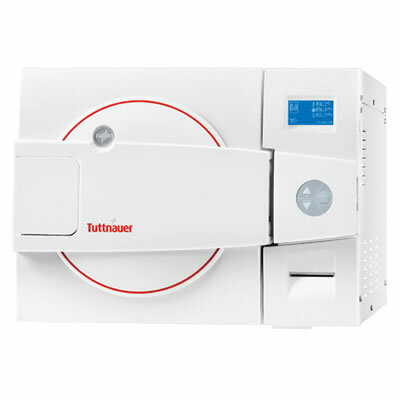 Cassettes reduce direct handling of contaminated instruments and keep instruments together throughout the sterilization process. 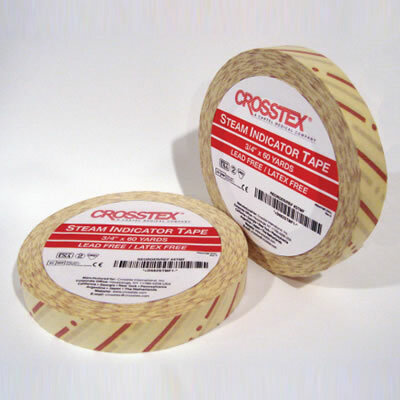 Sterilization wrap provides a barrier against air and waterborne bacteria, and maximizes penetration by conforming easily around various cassette shapes and sizes. 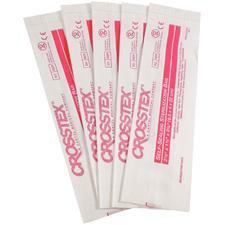 Are you paying attention to infection control?